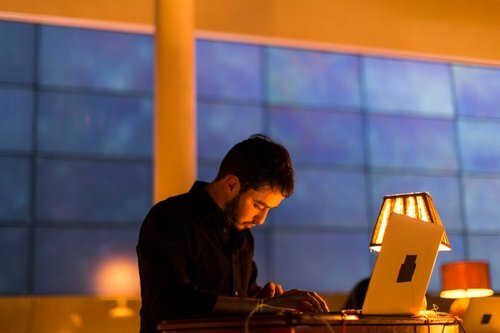 Julian Stein is a media artist based in Los Angeles whose work ranges from soundscape and electroacoustic composition to collaborative performance and kinetic sound installation. Influenced by methods of audiovisual synchronization and the urban environment, his work focuses on intuition and present experience, demonstrating musical applications of the everyday in both composed and real-time environments. Julian is a co-creator of the Montréal Sound Map and has a BFA in Electroacoustic Studies from Concordia University. He is currently pursing an MFA in Design Media Arts at UCLA.